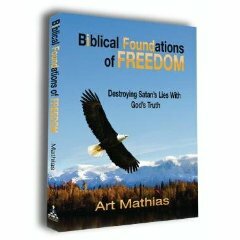 "Empowering the abused woman to recover with God's truth"
What It Is: BFOF program is a weekly Christian based lecture adapted into the Abused Woman Ministries,’ Inc. School of Healing (AWMSOH) from the book, “Biblical Foundations of Freedom Destroying Satan’s Lies With God’s Truth” by Dr. Art Mathias. AWMSOH will make BFOF a prerequisite for the Abused Woman Ministry Recovery Program (AWMRP). AWMSOH want to educate abused women (but others are welcome) how to recognize the danger of anger, hatred, jealousy, rejection, fear, pride, bitterness, and to help them get rid of these toxic emotions so they can recover from abuse. The recovery process begins when the person decides to forgive – forgiveness is a choice. Therefore a person cannot receive complete recovery until these unresolved issues (toxic emotions above) are gone from their lives. BFOF program is also adapted to let the abused woman (and others) know that these toxic emotions separate us from God and create diseases in our souls and physical bodies. How the Complete Program Work: Every week, a different topic will be taught. The program is designed so the topics can be combined into one (or many) course(s); customized according to the client’s need. In a group session, the maximum number of individuals will be twelve (12). The BFOF Program also includes a Study Guide which can be used to help you apply the Word of God to your life. *Preface & Introduction (2 hour). *What Is Sin – Chapter One (2½ hours). *Discernment – Chapter Two (2½ hours). *Accusing Spirits – Chapter Three (2½ hours). *The Major Strongholds, or Principalities, of Satan – Chapter Four (1½ hours). *Principality of Bitterness – Chapter Five (2½ hours). *Principality of Self-Bitterness, Unloving Spirits – Chapter Six (3½ hours). *Forgiveness – Chapter Seven (2 hours). *Principality of Jealousy & Envy – Chapter Eight (2½ hours). *Principality of Rejection – Chapter Nine (3½ hours). *Principality of Fear – Chapter Ten (2½ hours). *Principality of Occultism, Pharmakia & Sorcery – Chapter Eleven (2½ hours). *The Kinsman Redeemer – Chapter Twelve (1½ hours). *The Armor of God – Chapter Thirteen (5½ hours). *Our Power and Authority in Christ – Chapter Fourteen (3 hours). Preface – Goal: to help you understand how you feel about your relationships with God the Father, yourself, family, and friends. To accomplish this goal, we will teach you what the Word says is the cause of broken relationships. The Major Strongholds, or Principalities, of Satan – Goal: to introduce Satan’s major weapons (strongholds). To accomplish this goal, we will: explain each principality (bitterness, self- bitterness, jealousy and envy, rejection, fear, unbelief and the occult separately). Our Power And Authority in Christ – Goal: to define and explain our authority in Christ. To accomplish this goal, we will: fully explain Christ’s authority first then explaining the believer’s authority using various scriptures. All information on this web site is copy right protected © 2016 Recovery for Abused Women. To use any of the information, please contact Dr. Dorothy E. Hooks. Thank you!